When the Midtown Global Market opened in 2006, rising like a Phoenix from the shell of what had once been an abandoned 1920s era flagship Sears Roebuck, hopes were high. Sitting at the busy corner of Chicago Avenue and Lake Street, the redone market cost $16 million, and just as it started to take off economically, the Great Recession hit. But, with help from the Neighborhood Development Center, the Market recovered from the downturn and is now thriving, with 18 specialty and ethnic food vendors and restaurants, as well as dozens of little specialty shops. People from all over the city stop by for lunch or dinner or to spend a little time (and maybe a little money) supporting the food, clothing, book and gift shops. Come here if you want to go international, in the heart of South Minneapolis. Here are six of the food-focused places you’ll enjoy. Tortas are Mexican-style sandwiches, and these are some of the best around. “The most famous is a baguette with steak, mushroom, onion, jalapeno, tomatoes—everything, grilled with Mexican seasonings,” said manager Cecilia Velarde. “It comes with cheese, avocado and house chipotle sauce.” Coming in second is the Cuban, a gourmet sandwich with ham, pork loin, cheese and vegetables. “Everything in the sandwich is fresh,” Velarde says. The restaurant was once located at Mercado Central but moved to the Midtown about 10 years ago, said co-owner Vicky Gonzalez. Partnered with her brother, Manny, their torta shop was the winner of the 2012 Best of Minneapolis Award. The restaurant is a family affair, with Manny’s father, Tomas, sometimes showing up to help. Salty Tart had humble beginnings at Midtown Global, but today, it draws customers not just from the Twin Cities, but also from places like New York, Chicago and beyond. It’s famous not just because owner and bakery star Michelle Geyer has been a multiple James Beard runner up, or because her macaroons were featured on the Food Network’s “The Best thing I Ever Ate” or even that Departures magazine named Salty Tart as one of the best bakeries in the world. People stand in line for the sweet and savory pastries because Geyer lives up to her motto, “Cooking with integrity,” using seasonal, organic and mostly local ingredients. Plus, everything she bakes is amazing. 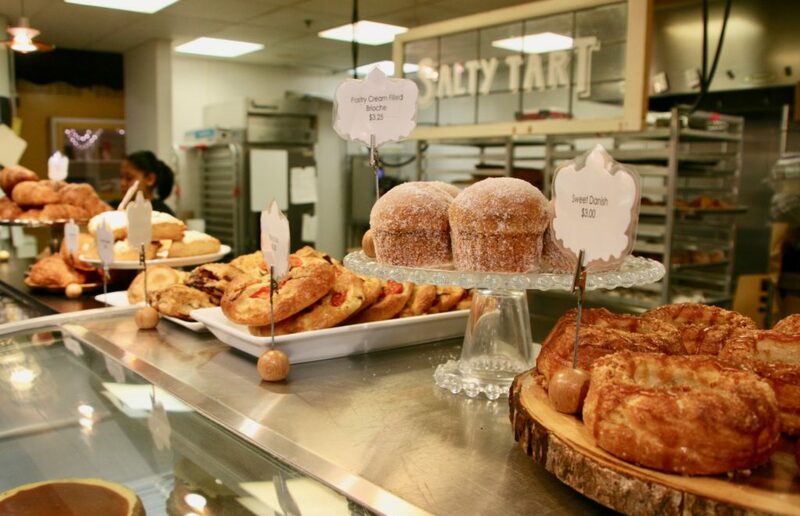 Mayra Figueroa, who works behind Salty Tart’s counter, says the biggest sellers are the ham and cheese croissants, the egg-white meringue cookies and their renowned coconut macaroons. Customers also come in for the monkey bread, (come early—they sold out by 1 p.m. on a Wednesday), the eggy brioche, the chocolate croissants or loaves of fresh bread. The Midtown Global was once the center of operations, but recently the actual bakery moved to a new nearby location. “That’s where the magic happens,” Figueroa says. But, fear not. Everything is fresh baked and delivered daily to Midtown Global as well as to their airport location and the soon-to-open Lowertown bakery. 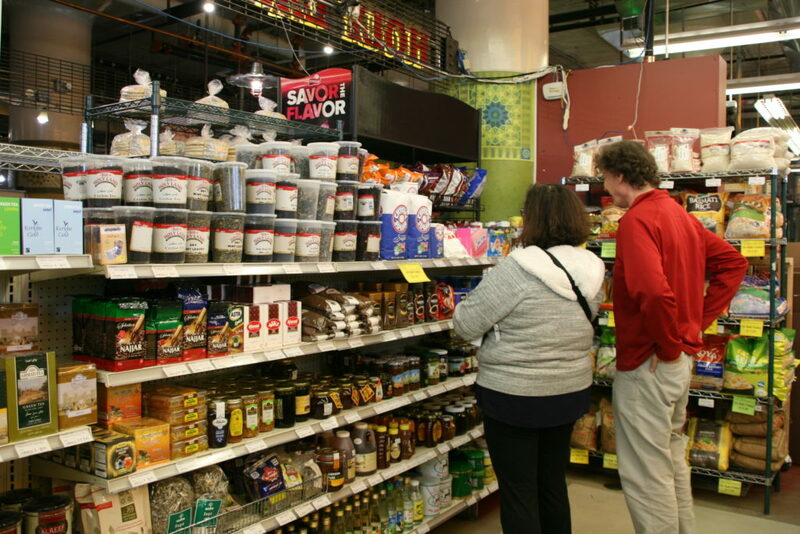 Although it’s much smaller than its Central Avenue location, the Holy Land at the Midtown carries a large selection of Middle Eastern specialty foods. At the deli, you can order up a lunch or dinner you might find in countries like Israel or Jordan. Popular meals are the falafel and the gyros (the beef/lamb combo or the chicken). Others include the Arabic Chicken Schwirma (boneless whole chicken marinated in special spices) and for vegetarians, veggies sautéed in olive oil. There is also a wide choice of Philly sandwiches, burgers—beef or veggie—and a kid’s menu. Pham and his wife, Katie, signed on, getting advice and help from friends and relatives with restaurant experience. The place was a hit from the beginning. Favorites, says Pham, are the banh mi (a traditional Vietnamese sandwich with French influences), the pho (called the national dish of Vietnam) with a choice of beef or chicken, the sesame chicken, the eggroll noodle salad and, of course, the 11 flavors of bubble tea. “We’ve been applying to the State Fair to bring bubble tea there,” he said. 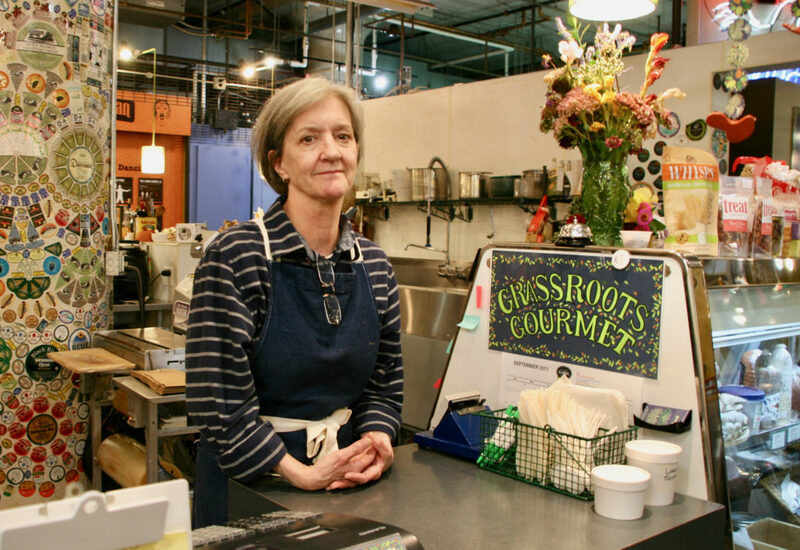 Vicki Potts took over management of Grass Roots Gourmet 11 years ago. The Callister family, organic farmers with a place near Owatonna, had a booth at the St. Paul Farmer’s Market before opening Grass Roots. But, said Potts, although they had organic expertise, “retail is a very different story.” She’d managed the store for a little more than a year when the family decided that a duel life of farmer and shopkeeper wasn’t working. Tapped by Midtown’s management, Potts took over, expanding the product line. “We specialize in small batch meat and dairy from local sources.” They also carry locally made pickles, soda pop, honey and other products, sourced from within a 100-mile area, reaching into parts of Minnesota, Iowa and Wisconsin. Long a staple in South Minneapolis, this Jakeeno’s, like its Chicago Avenue Powderhorn location, specializes in made to order, old-school red sauce Italian comfort food with pasta, hoagies, pasta salads and pizza. Classic pasta dishes like penne with pesto or the Italian sausage are priced at $9.25. You can choose hoagies instead, including Italian beef, “East Coast” turkey and Swiss with provolone, a vegetarian portabella with artichoke and mozzarella or a ham and provolone sandwich. 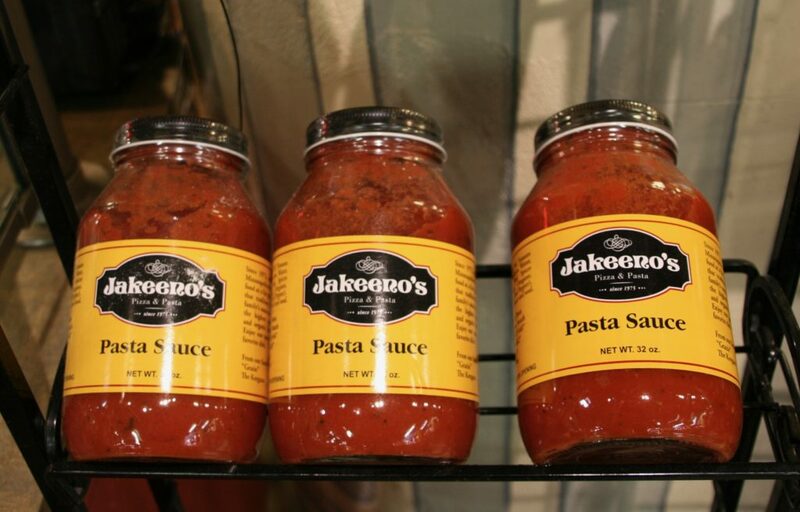 Look for the daily pizza specials and while there, pick up a jar of Jakeeno’s own red sauce to take home.